A group of Young Farmers visited Amsterdam in March to learn more about the latest developments in animal nutrition and new technology in agriculture. The agricultural study tour, supported by Defra, was organised by NFYFC and more than 30 members from YFCs across England and Wales took part. The tour included a visit to Nutreco’s swine and ruminant feed research facilities in Boxmeer where the latest developments in animal nutrition are being discovered. There was also the opportunity to discuss the research with scientists working on the projects and to find out how they improve livestock production. 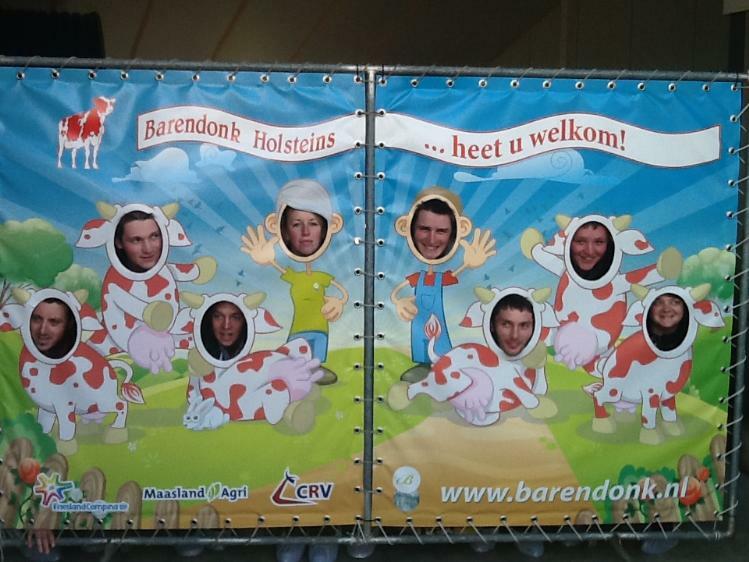 Young Farmers also visited a robotic dairy farm in the south of the country and Agrocare’s tomato farm in Rilland, as well as enjoyed a spot of sightseeing in the city of Amsterdam. Members took to Twitter to share their enjoyment of the trip. Joanne Gillingham tweeted: "Amazing time in Amsterdam! Great to make lots of new friends and compare farming!" Simon Walgate was equally as impressed: "Fantastic trip to Holland with @NFYFC. Learnt a great deal and had a great time." 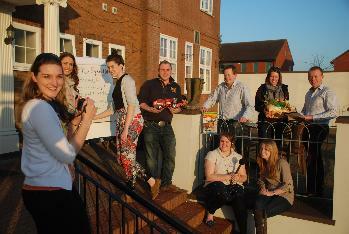 The study tour was just one of the many events organised by the AGRI Steering Group, which is run by YFC members. They are currently preparing to host leading industry figures at the NFYFC’s AGRI Forum, which will take place on 10 May at the Winter Gardens in Blackpool as part of the Federation’s Annual Convention. You can see more photos from the trip on Facebook. 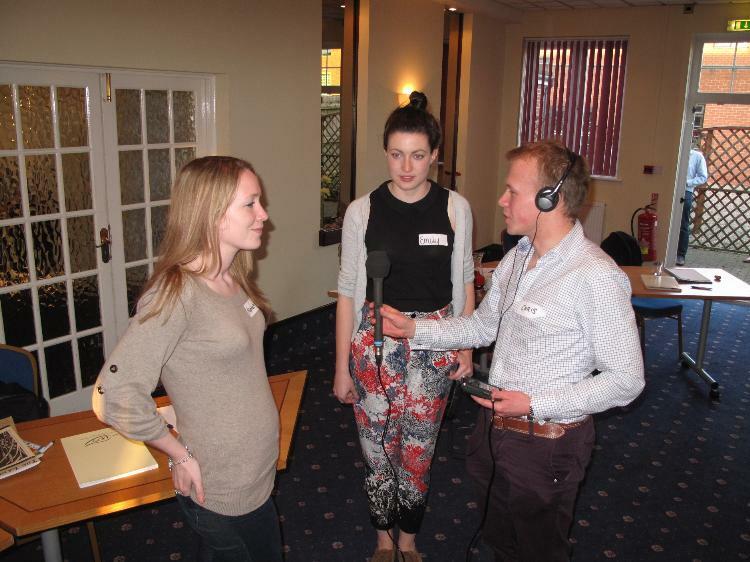 Being a voice for the future of farming is harder than it looks as young farmers found out on a recent media training course. The aptly named ‘Speak Out’ course, delivered by Annabel Shackleton from LEAF (Linking Environment And Farming) and Susie Emmett from Green Shoots Productions provided a whistle stop tour of communication basics looking at what makes a good communicator, listening skills, using social media and a specific focus on making the most of the media. The aim was for members to develop their communications skills and help them to feel more confident about speaking to the media and inspiring others about farming. The course was free to members, thanks to funding from Defra, and involved lots of participation from members, including the opportunity to have a go at a mock radio interview. Feedback has been very positive and it is hoped that everyone who attended the day will be able to implement their new skills soon. Emily Look (pictured below, centre with Vice Chairmen Hannah Talbot and Chris Manley) from North Somerset YFC attended the course with the aim of improving her communication skills. 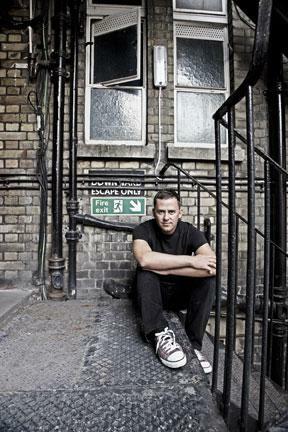 BBC Radio 1 DJ Chris Stark played a prank on the show in March when he called NFYFC with a list of demands for Scott Mills for his gig at Annual Convention. Among the items were 10 piglets, a pizza that looked like Scott Mills’ face and two Young Farmers to pay compliments to the Radio 1 DJ for the whole time he is at Annual Convention. Chris pretended to be Scott Mills’ agent and reeled off a list of diva-style demands for NFYFC to provide for him in Blackpool. Christina Evans, NFYFC’s Fundraising Officer, took the call and recorded the list of requirements. She said it was difficult not to laugh at some of the requests. “It was very funny as the list got more and more ridiculous. I was definitely confused when he started asking for white goods and was wondering why he would need a fridge and a washing machine! The Radio joke attracted lots of comments on Twitter including Towcester YFC who saw the opportunity to make some demands for their Chairman. Two fans to be outside his dressing room to follow Scott around and pay him compliments. They can give him eye contact. Just beer and pizza for Chris. Find out more information about Annual Convention 2014. The semi finalists for the 2014 Entertainments competition have been announced after counties competed in their Area finals. Six counties are going through to the Northern and Southern semi finals that will be held on 23 March in Retford and Weston-Super-Mare. The Northern teams include Buxton YFC from Derbyshire, Whitley Chapel YFC from Northumberland and Raughton Head YFC from Cumbria. In the Southern semi finals, the competitors are Whittington & Oswestry YFC from Shropshire, Cheriton & Tedburn YFC from Devon and Highbridge YFC from Devon. Two winning counties from each semi final will go through to the national finals at NFYFC's Annual Convention in May. They will join Llanbadarn Fynydd YFC in Radnor with their performance of Just Chilled, which won the Wales Entertainment competition. Be part of the audience and order your tickets today. 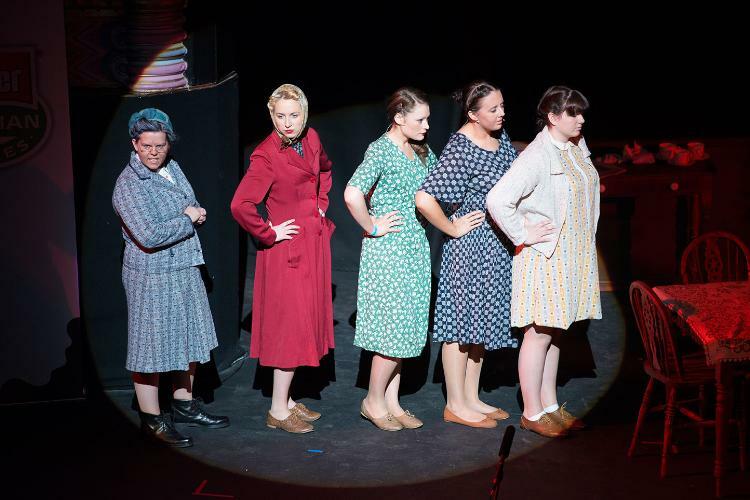 Sunday 23 March 2014 the Majestic Theatre, Retford at 2 p.m.
Buy tickets using the order form online. Sunday, 23rd March, 2014 the Playhouse, Weston Super Mare at 2 p.m. Despite never driving a tractor before, one YFC member is travelling 315 miles in one to raise money for a charity that is supporting flooded farmers and NFYFC’s Rural+ campaign. 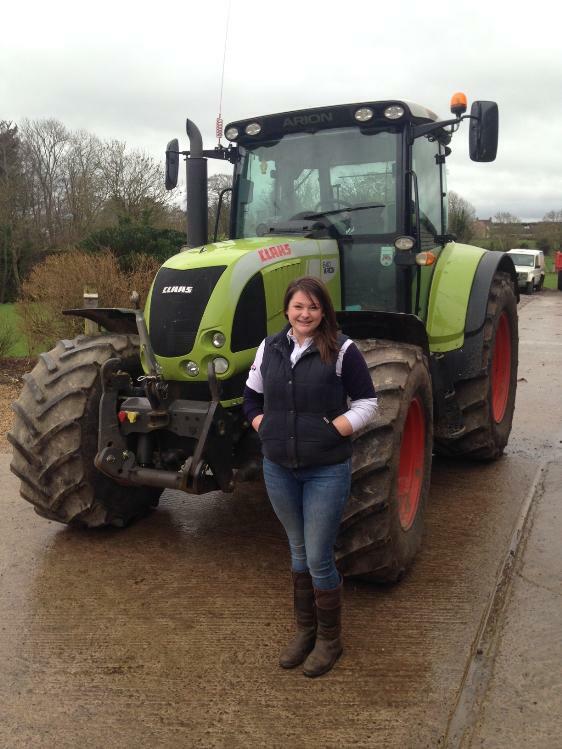 Tess Cadman, current South West Area Chairman, set off from Dorset on 10 March with the aim of visiting the other five YFC County offices in the Area - Cornwall, Devon, Gloucestershire, Somerset and Wiltshire. Tess’ last stop is in Newquay on 12 March, just in time for the South West Area (SWA) Competitions Weekend. The SWA Chairman, who has been a Young Farmer for more than nine years, was keen to raise money for The Farming Community Network, especially because of their work in the local area. “The Farming Community Network is supporting farmers affected by the recent flooding, which is particularly relevant at the moment in our local area. Tess was loaned the tractor by Hamblys Claas dealer and is being followed by three friends in a Landrover donated by Gerald Hallett Ltd. The resourceful fundraiser has also secured sponsorship through the NFU. Tess’ Tractorthon will mark the start of the SWA Competitions Weekend, which is in Newquay from 14-16 March. It brings together around 1,800 members from the six counties to compete against each other to possibly win places in the NFYFC national finals. To support Tess on her Tractorthon and to donate to a great cause visit the Just Giving page or follow her progress on Twitter. 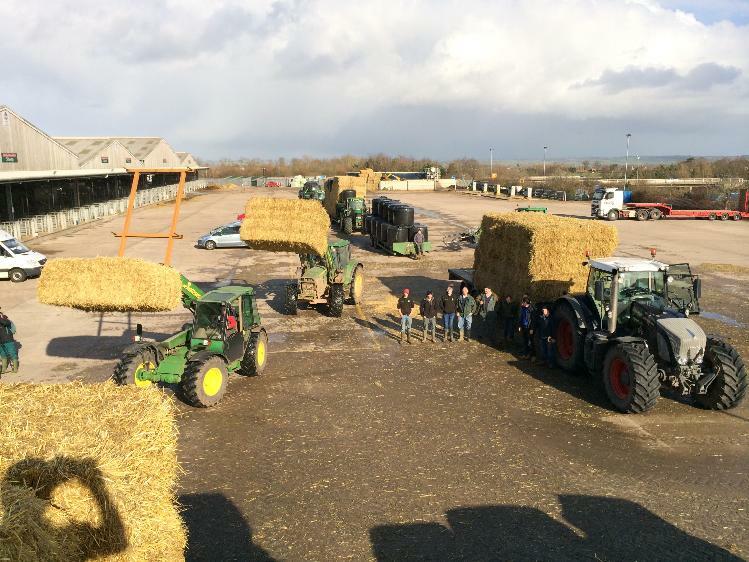 NFYFC is working with clubs in Somerset to help organise a clean up operation after floodwaters have ruined homes and farms in the region. National Chairman of Council Claire Worden met with members, farmers and Somerset County Council last week to discuss a way Young Farmers’ Clubs could support local communities. • Clearing farm land of small debris (for example, there are miles of hedge rows choked with strong, domestic and commercial refuse that will need to be handpicked into skips). Somerset FYFC is now working closely with the local authority, responsible for the clean-up coordination, and local farming and rural communities, to collate a database of properties that would welcome the help of YFC members. NFYFC has set up a central email address where members can pledge their support for the clean up and will work with Somerset to match offers of help to those in need. While many YFCs across England and Wales hoped to take part in a one day clean up event, local organisers have insisted this is not a practical solution for Somerset. There are issues around business/household insurance and the need for loss adjusters/assessors to have reviewed claims before cleaning can commence. 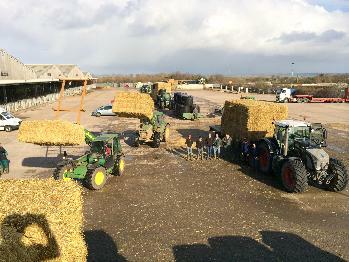 Clubs in Somerset are trialling their clean up plans this weekend, offering support to a local farm who need help. Up to eight young farmers are giving their time for free to help clear up the yard of a farm in Moorland. Bridgwater Club Chairman Rachel Dyer is helping to coordinate a team of helpers for this weekend’s work and said: “Our club has been trying to do what we can to help people. Our members have helped evacuate cattle from local farms and have been involved with hauling donated forage to farms. • All volunteers should have an up to date tetanus inoculation. Volunteers should be prepared to equip themselves with good wellington boots/strong work boots and overalls and suitable outdoor clothing. • A verbal risk assessment of the task and the hazards to be avoided. The current NFYFC insurance policy, held with the NFU Mutual will provide the required Public Liability Insurance for those YFC members aged 18 and over volunteering to help with the clean-up. Risk assessments are required as with any YFC activity.